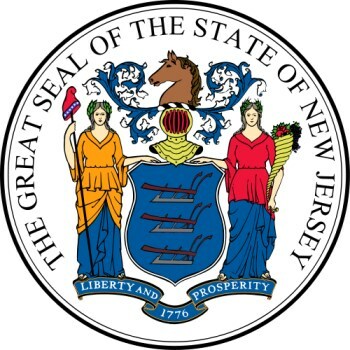 The National Coalition Against Censorship wants New Jersey Governor Chris Christie to veto a bill that would require the Department of Education to provide parents with "research" detailing the dangers of violent videogames to children. The National Coalition Against Censorship is hoping that New Jersey Governor Chris Christie will veto Senate Bill 2715, which will require the state's Department of Education "to prepare and distribute informational pamphlets on how parents can limit a child's exposure to media violence." The group claims that the research provided to parents, which will focus largely on videogames, is being "cherry-picked" in order to advance an anti-gaming agenda. If passed, the law would require the DoE to keep parents informed on "research and statistics on how violent behavior increases after exposure to violent films, music, television, or videogames, [and] scientific findings that show children who play violent videogames are more likely to be involved in physical altercations with classmates, perform poorly on academic tasks, and are unable to relate to adults in positions of authority." The information, which would also include descriptions of symptoms displayed by children suffering from overexposure to violence and strategies for combating such exposure, would be distributed via the department's website and through pamphlets sent out to all school districts in the state. In a letter to Governor Christie, the NCAC noted that the bill "poses both practical and constitutional problems," foremost among them being that "the bill is based on factual assumptions that the United States Supreme Court has explicitly rejected: that exposure to media violence causes violent behavior and that children who consume violent media become aggressive or anti-social." "The Supreme Court concluded that studies purporting to show a relationship between exposure to violent media and violent or anti-social behavior 'have been rejected by every court to consider them, and with good reason: They do not prove that violent videogames cause minors to act aggressively'," the letter states. "To the extent the studies show any effect on children's 'feelings of aggression, those effects are both small and indistinguishable from effects produced by other media.' Indeed, as the Court noted, the evidence demonstrates similar effects from watching Bugs Bunny and Road Runner cartoons." The letter also notes that S2715 places an "impossible burden" on educators and, if passed, would also likely fall afoul of the First Amendment protections recently affirmed by the Supreme Court. Furthermore, "the bill is plainly not concerned with disseminating accurate information: its obvious purpose is to condemn a form of protected expression and propagate the view that it is harmful." "We strongly urge you to reject this flawed and constitutionally-suspect approach and instead focus scarce state resources and attention on initiatives that are more likely to promote effective violence-prevention strategies," the letter concludes. Despite the NCAC's concern, it seems unlikely that Christie will veto the bill: according to LegiScan, it passed both the Senate and the Assembly with unanimous assent.